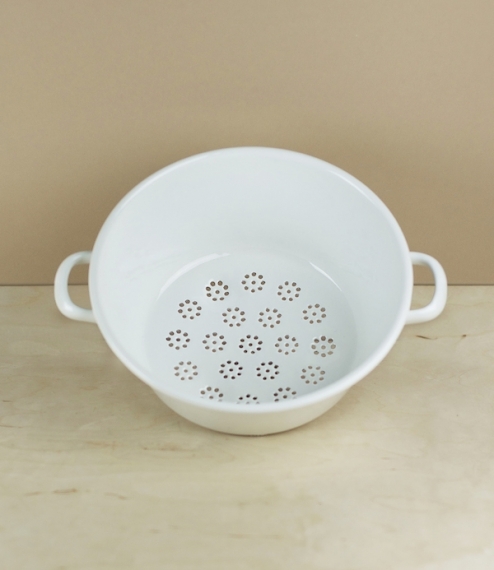 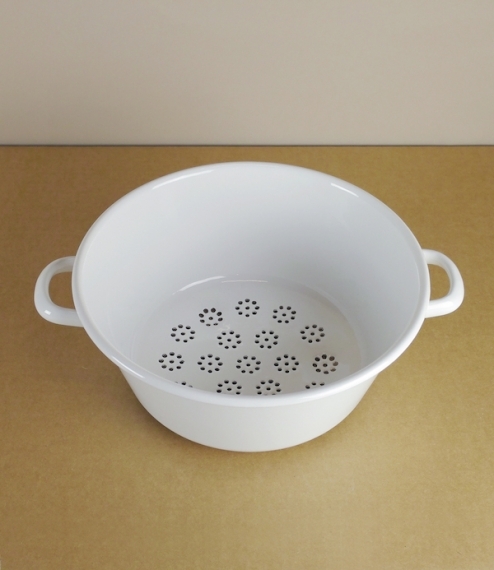 A choice of small or large white enamel on steel colanders. 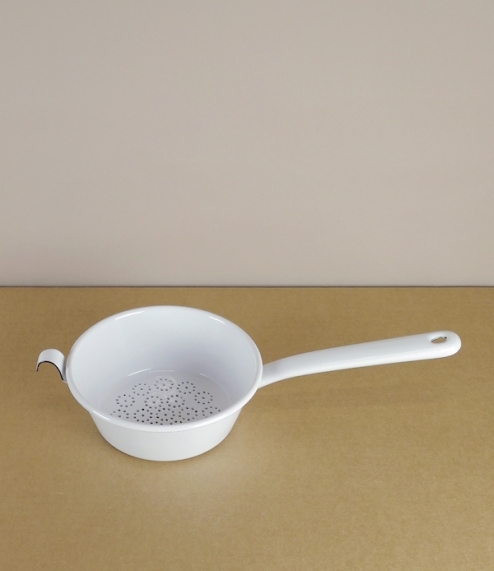 The smaller also functions similarly to a sieve and has a bowl of about 16cm diameter, a long handle, and a hook to the opposing side to allow it to rest without slipping over a pan. 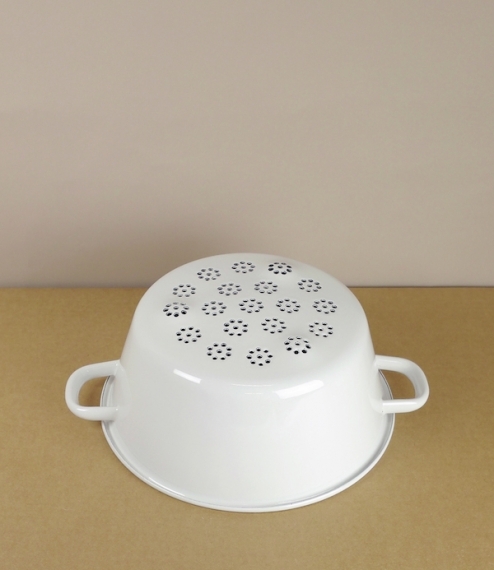 The larger is 26cm in diameter and ideal for draining steamed or boiled vegetables, noodles, and pulses, as it rests on clever little dimpled feet. 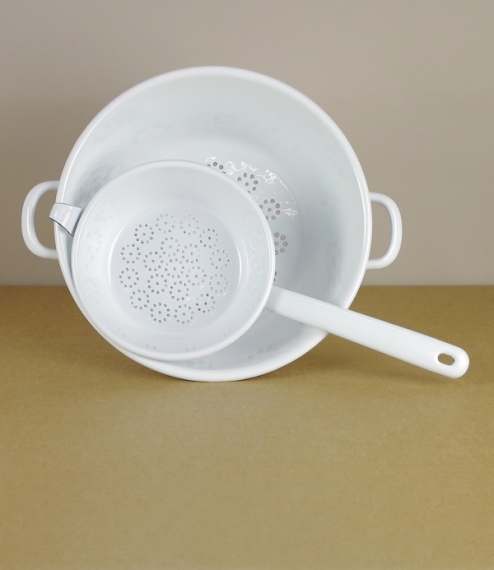 Both are made in the Austrian Riess enamel works, which draws power from its own hydroelectric plants and seeks to operate in a socially and environmentally responsible way.